Below are some pics of his knives and shop. Dan can be reached at 623-465-2727 and at 45007 N. 16th St., New River, AZ. 85087. 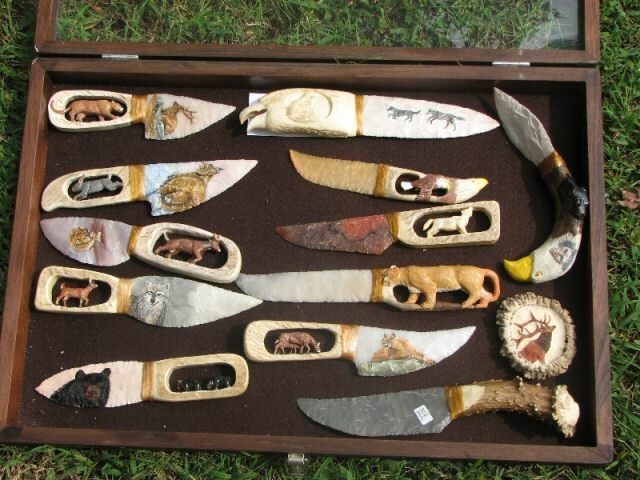 Below are some of the knives that Bill has made. Bill can be reached at 105 Koalin Lane, Canton, NC 28716. His phone number is 828-235-9335. Bill also has an email address wncbill@bellsouth.net. Thank you for looking and if there is something that Bill can help you with, please get in contact with him. Joe can be reached at 1310 North Broadway, Shawnee, Oklahoma 74801. His phone number is 405-273-0999 and his email is wheejoe@aol.com . 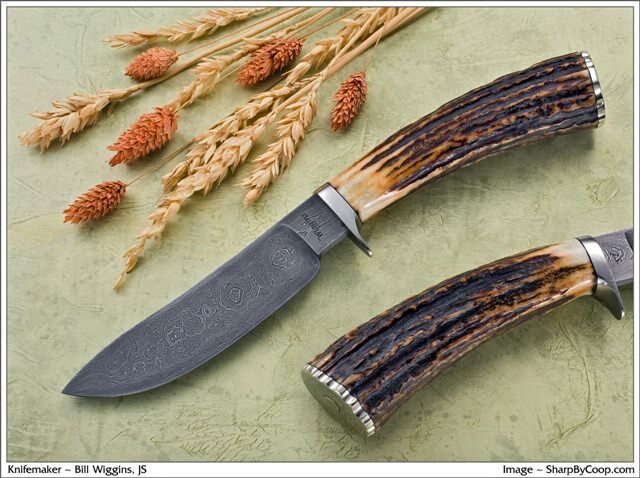 For more about Joe Wheeler and his knives, please go to http://www.joewheelerknifemaker.com. Rob is also a Journeyman Bladesmith in the American Bladesmith Society and can be reached at 12421 US Hwy 75, Dewey, Oklahoma 74029. His phone number is 918-534- 0886 and his email is rew1@bartnet.net . 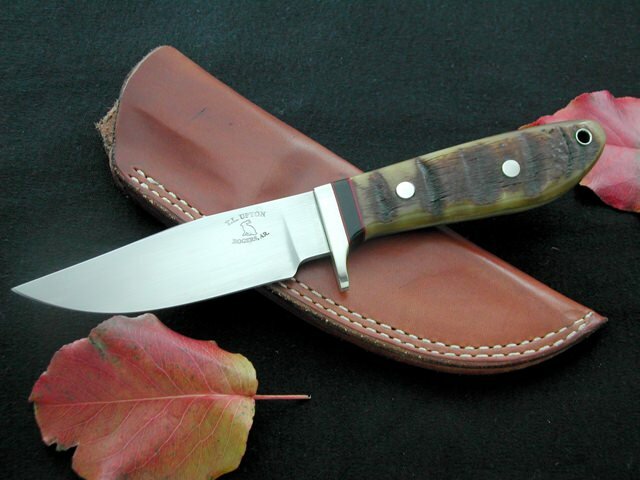 Rob has a new web site and it is http://www.webercustomknives.com. Jess can be reached at 57501 East 350 Road, Jay, Oklahoma 74346. His phone number is 918-786-8286 and his email is jwebb@netechcenters.com . Jesse has been making knives by stock removal and forging since 1991 and he is also the welding instructor at the North East Technology Center in Kansas, Ok. 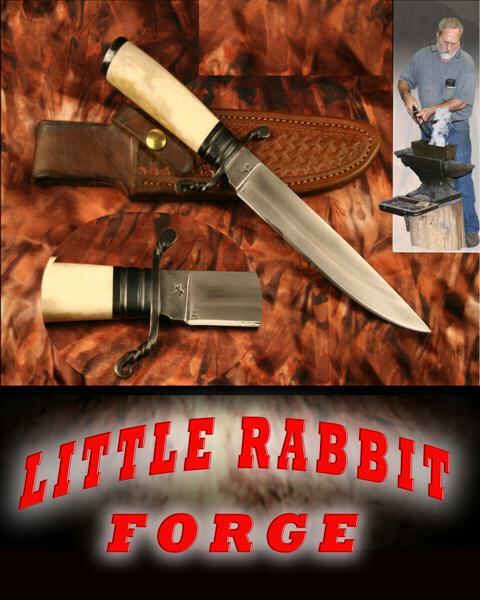 He has scheduled knife making classes and some of the instructors have been Ray Kirk and Newt Livesay. You can contact Jesse for the knife making schedule. It is an evening adult class. Chuck is the President of the Arkansas Knifemakers Association. 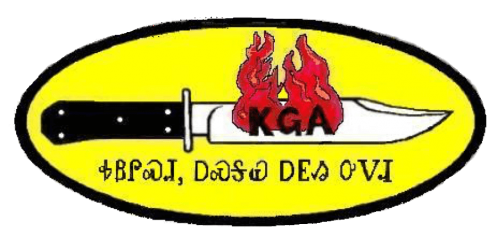 He is also a member of The Knifemakers Guild and our own organization here. 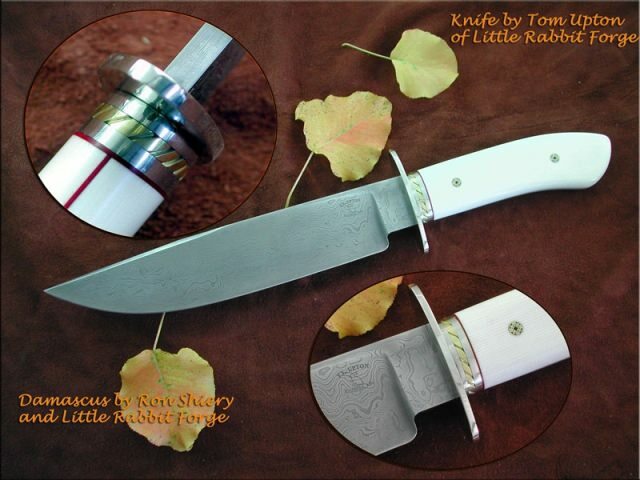 He is the official photographer for the Oklahoma Custom Knife Show in November and the Arkansas Knifemakers Association knife show held in February each year in Little Rock. His address is P. O. Box 2272, Benton, Arkansas 72018-2272. His phone is 501-778-4329 and his email is chuckbop@aol.com . 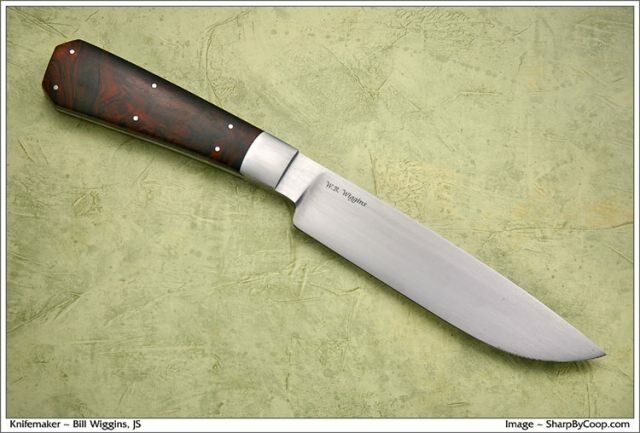 Chuck has been photographing knives for the last 10 years and has been published in numerous magazines about knives. He also contributes a few tips on photography to some of the knife forums. 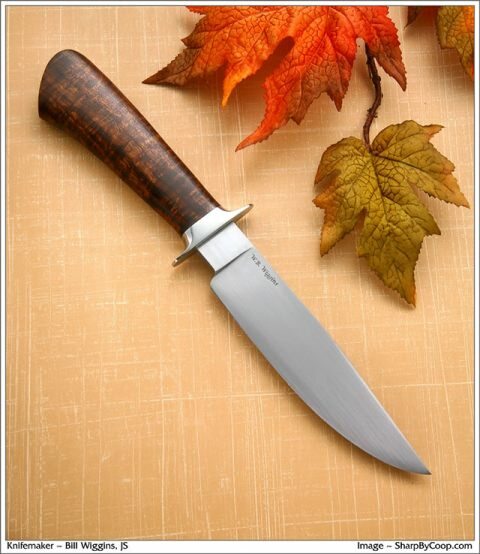 Brion is a charter member of the Knife Group Association of Oklahoma and is also a Journeyman Bladesmith in the American Bladesmith Society. He can be reached at 825 W. Timberdell, Norman, Oklahoma. 73072. His phone number is 405-202-6832 and his email is anviltopp@aol.com. Brion has a web site at http://anviltopcustomknives.blademakers.com . Don can be reached at his email, BSCash@yahoo.com or by phone, 405-473-6014. I will be putting up some pics of his knives shortly. Michael can be contacted by email at mtango6963@yahoo.com . His adddress is 821 A street in Snyder, OK. 73566. Pictures and short bio will be added later.